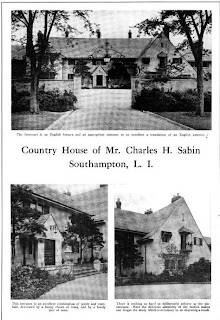 'Bayberry Land', the Charles H. Sabin estate designed by Cross & Cross c. 1918 in Southampton. Click HERE for more on 'Bayberry Land' and HERE for interior photos. The estate was demolished in 2004.
two straight ‘landing’ sections with scrolls throughout." What was the condition of the estate prior to it being razed in 2004? A derelict state? From what I understand, there was nothing wrong at all with the estate. Kellsboro, the condition of the estate can be seen in this report made shortly before demolition. 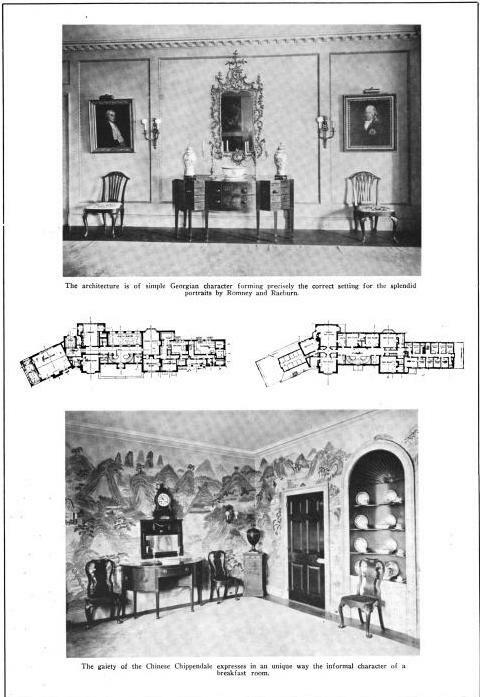 Although the integrity of house and landscape were somewhat compromised, the house went down because an unimaginative developer (there are a few of those around) was more interested in having his own way, and making everything new and shiny, and could not be persuaded of the virtues of rehabilitation. As to the staircase---in the antiques business, we often see hopeful and optimistic attributions made. Despite the current attribution of the staircase to Yellin (almost every piece of fancy ironwork on the market gets attributed to him), the stairs were actually designed by the architects, and executed by the Edwin Jackson company, perhaps the leading commercial metalwork company of the era, who did the gates, doors, and other metalwork for many of the major estates and office buildings of the era. 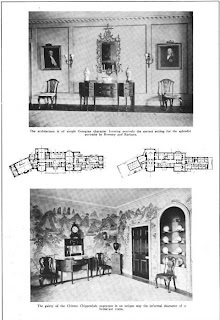 Although I haven't time to search for a reference this moment, the stairs were credited to the Jackson company in several contemporary publications. From a past mention of the property Zach did have a visitor here who was a member of the IBEW Local 3 (Int'l Brotherhood of Electrical Workers) and had stayed there relatively close to the time it was sold. She [in her remarks] said it wasn't rundown. Sorry, I meant the William Jackson Company, not Edwin Jackson. The William Jackson firm was the metal foundry, the Edwin Jackson company was the leading dealer in antique fireplaces & equipment. The Historic American Buildings Survey report, http://lcweb2.loc.gov/pnp/habshaer/ny/ny2000/ny2055/data/ny2055data.pdf, which was made just before the demolition of Bayberryland is extremely informative for those who want to know more about this incredible estate. On page 22, paragraph 2, one will find the correct attribution of the staircase. Kellsboro, correct. In researching the book, I'm in a constant struggle against pretty urban legends vs. the true verifiable facts---it really is amazing what well-intentioned people will suddenly decide out of thin air. facade of the Sabin's New York house, also designed by Cross & Cross. Note that the ironwork DESIGN is here properly credited to the architect. Note also the third floor balcony, strongly recalling the design of the stair rail at Bayberry land.